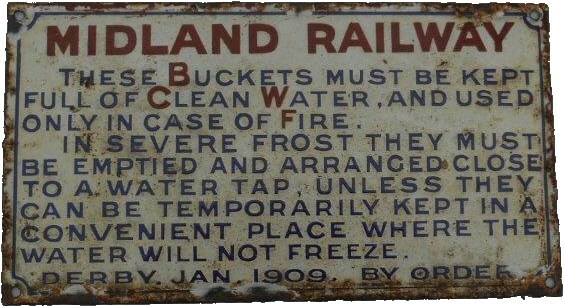 Lot 14 Midland Railway Enamel "FIRE BUCKETS" Sign. Size 11" x 6". As removed.